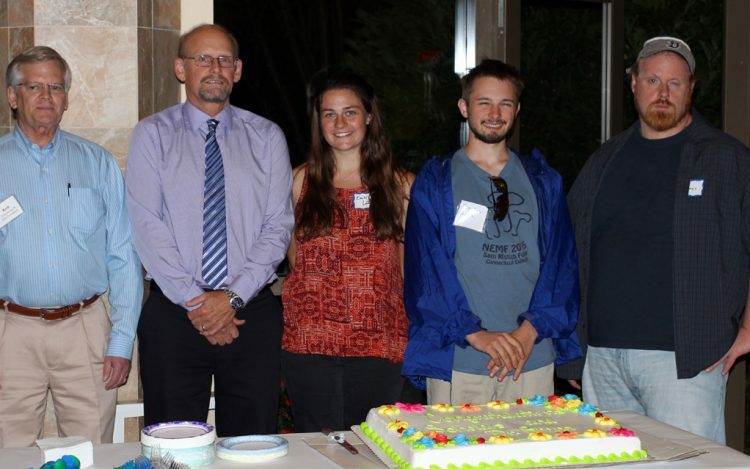 For more than 50 years, The Connecticut Horticultural Society has awarded scholarships to local horticultural students. Scholarships are funded by proceeds from the semiannual Plant Sale & Auctions. We are grateful to all local businesses and members who contribute plants to our Spring and Fall Plant Sale & Auctions, and to those of you who purchase these plants, as you enable CHS to assist local students and further horticulture in Connecticut. We could not do this without you…thank you for helping out. Brian Bostrom of Berlin, a horticultural student at UConn, owns his own business – Bostrom Lawn Care – but also works as a laborer for Bostrom and Son’s Tree Farm, Bostrom Dairy Farm and Soneson Lawn Care. Brian also finds time to work as a Camp Counselor for Hunters Golf Club and makes Thanksgiving meals for the homeless at St. Paul’s Church in Berlin. Brian’s goal is to teach Agriculture. Gabriel Derosa from Vernon is a senior majoring in Horticulture at UConn and is an active volunteer, leading an internship program at Spring Valley Student Farm and teaching sustainable farming methods at a youth program in Windham. Gabriel is secretary of UConn’s Horticultural Club and works at UConn Blooms providing plant care and maintenance. He has also worked at Fresh Farms Aquaponics as an intern and at Massaros Community Farm. 2/2017 UPDATE: We are proud to hear that Gabriel recently completed a UConn study abroad experience at the International Studies Institute at Palazzo Rucellai in Florence, Italy. Read what a great experience this turned out to be for him. Seamus Kelly of Waterbury attends Naugatuck Valley Community College and his goal is to perform horticultural research in the state. Emily LaFlamme of Granby is a sophomore majoring in Horticulture at UConn. Since 2003, Emily has been involved in Granby 4-H, she is a member of the National Honor Society and the World Language Honor Society. She has worked at Bosco’s Garden Center and, while in high school, maintained school landscapes and production fields. Emily is an avid volunteer at her church, at Granby Food Bank and in the Town of Suffield. Brendan Lyga from Southbury was a student at Naugatuck Valley Community College (NVCC) this past year and recently transferred to UConn. He was a student ambassador for the NVCC Horticultural Program.